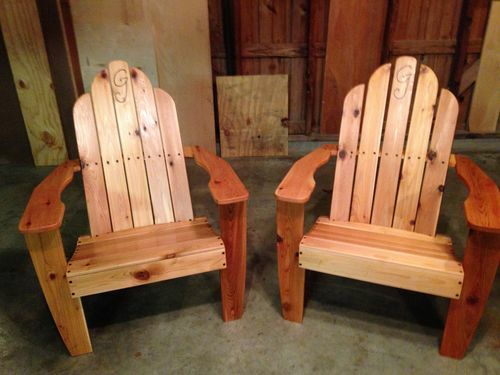 My parents will be celebrating 40 years of marriage in a couple weeks, and I’m making them these chairs to commemorate the occasion. Wood is WRC with 3/8 walnut dowels. Titebond 3. 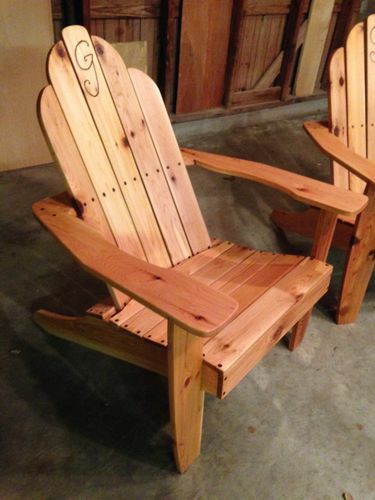 The design is a mash-up of the Andy Rae Improved Adirondack and two chairs from my in-laws’ house. 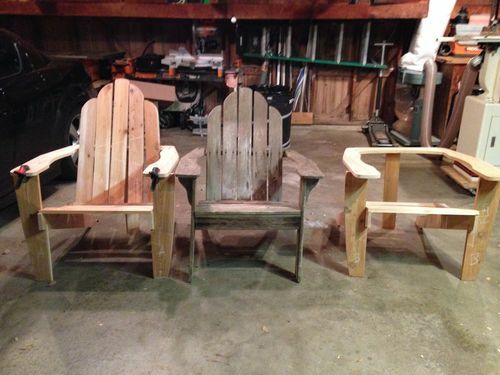 The in-law chairs are simply the most comfortable lawn chairs I’ve ever sat in, but the joinery is screws and bolts. I wanted to kick it up a notch. I figure 40 years of marriage and raising me and my sisters is worth the extra effort. The seat angles, chair dimensions, and templates all came from the in-law chair, which seems to be patterned after the Norm Abram chair. 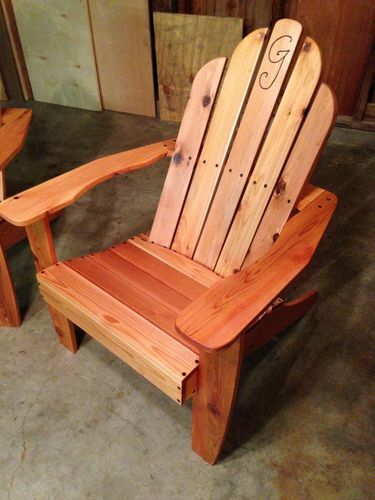 The sliding dovetails are from the Andy Rae chair, but the arm assembly joint was my own design. 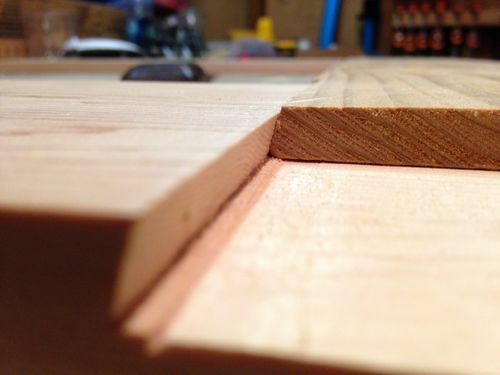 It’s a sort of half-lap-dovetail with draw-bored pegs. It was darn strong even when the glue was wet, so hopefully it’ll hold up over time. 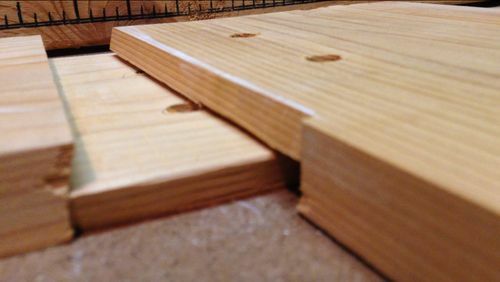 The arms are connected to the front legs via sliding dovetails, and the front legs are joined to the lower legs via hand cut dovetails. Well… hand cut dovetails on one. The other experienced a male-pattern-idiocy related incident and had to be re-engineered with dowel joinery. The joints should still be quite strong. The boss vetoed the purchase of a planer, so everything was purchased rough and hand planed with her great grandfather’s Bailey #5 and my dad’s old Craftsman #4 smoother. My first time building something with hand planes! I think making wood shavings has roughly the same effect as crack cocaine – seriously addictive. 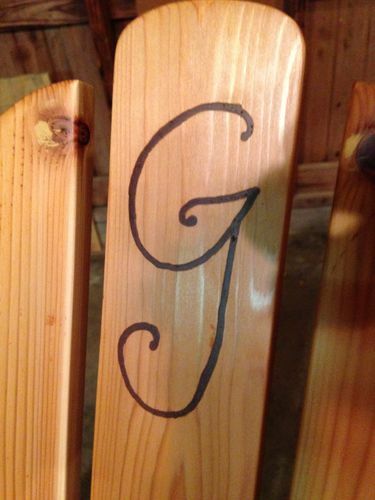 The G’s were designed by my sister and routed by my lovely wife and mother of our 3 children, then filled with a paste made from walnut sanding dust and Titebond 3 and sanded flush. Durability TBD. Seating surfaces are sanded to 400, all other surfaces to 220, finished with a few coats of Watco Teak Oil. Very lovely work and nice joinery! Those are cool and great gifts. I’m sure your parents will love them. They look great, sturdy and comfy, what more can you ask for.